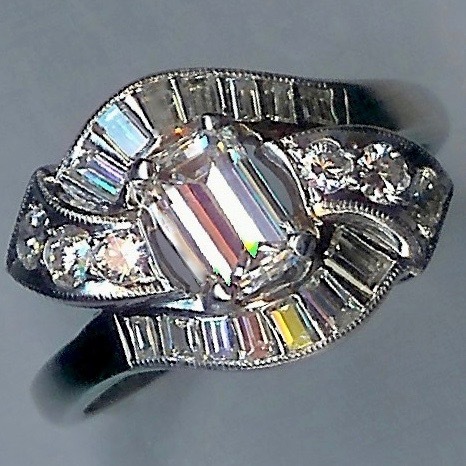 Magnificent 1.78ct Vintage Diamond Ring [SH8248] : loveVintageDiamonds.com, Your Vintage Diamond Dreams Come True! 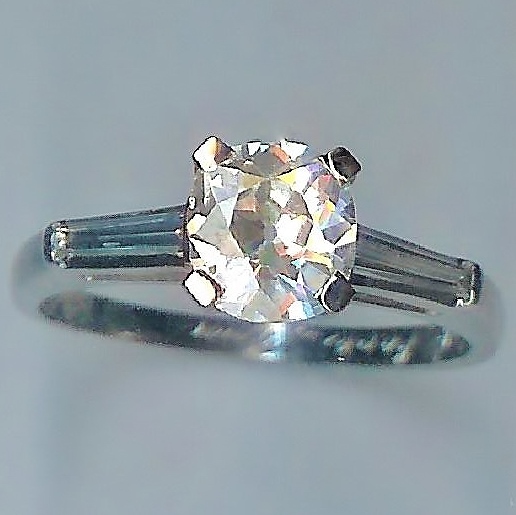 Magnificent 1.78ct Vintage Diamond Ring. 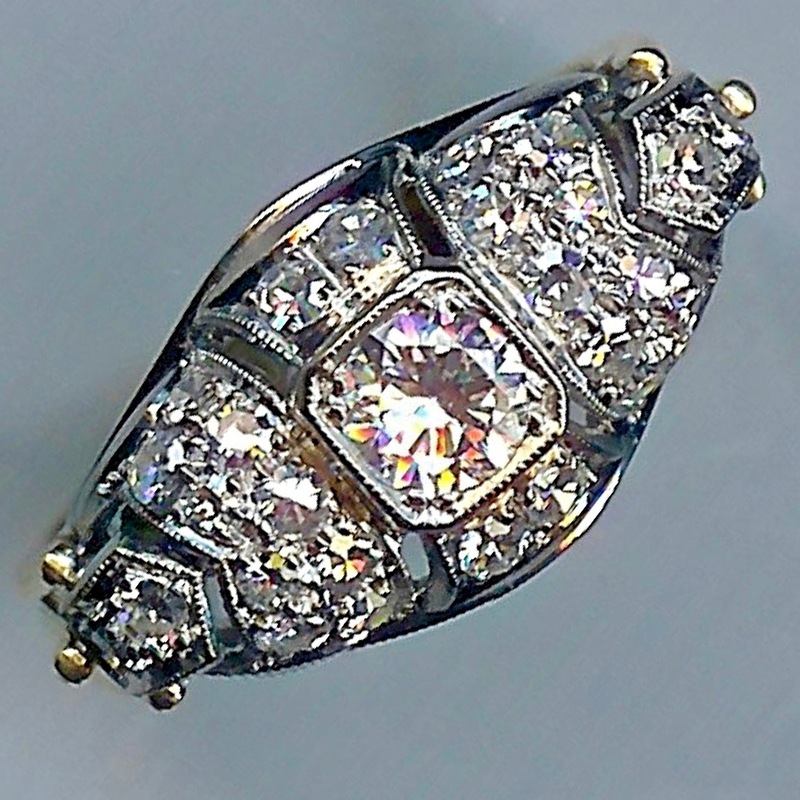 This outstanding ring has a stunning rose-cut diamond centre stone with a weighed weight of 1.78cts. The shoulders, each set with a single tapered baguette-cut diamonds, superbly complement the main stone and also provide a further approx. 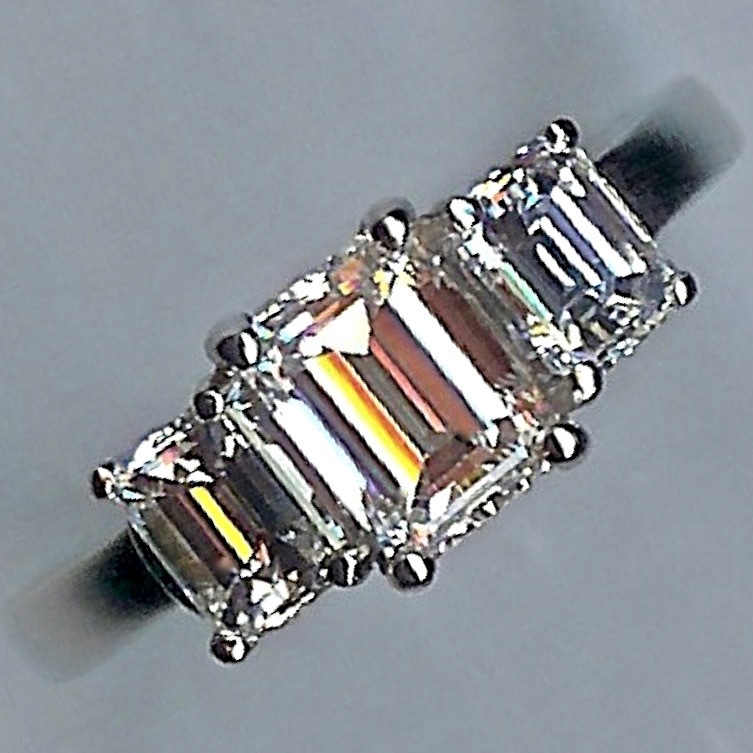 0.50cts of diamond weight. 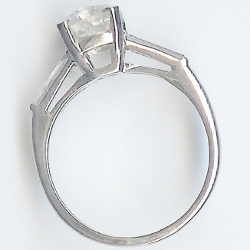 Total diamond weight approx. 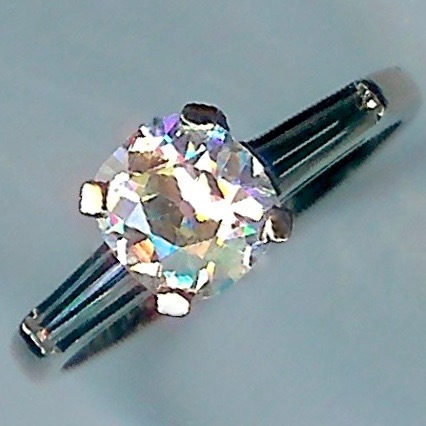 2.28cts. All white, the impressive mount is marked '10% IRID,PLAT' and tests as platinum. There is also an early inscription within. The size is presently 'O'+ (UK).